Desafinado Music Planner produced a 10 minute flash mob for a huge private party. Our music director combined Ode to Joy, from Beethoven’s Ninth Symphony, with a 2015 smashing hit Happy by Pharrel Williams. 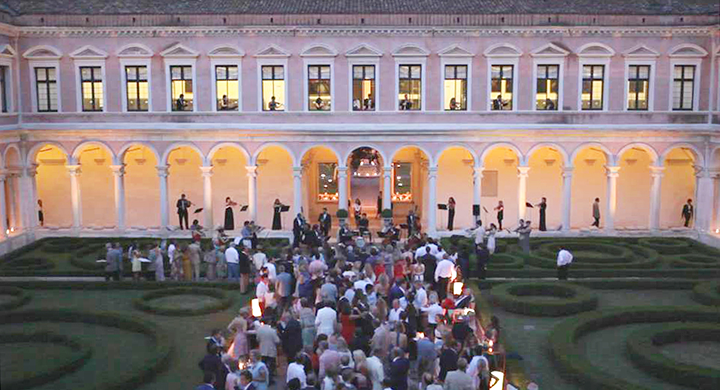 40 musicians plus 8 dancers were ready to give a surprising show to the guests in the majestic court of Fondazione Cini in Venice.